New Year, New Phone! Didn't You Resolve To Save Money In 2017? Disclaimer: This post is not part of a paid campaign. I did receive the LG X Power to review. All opinions are my own . BoostMobile has provided the device for the giveaway. Be honest, isn’t saving money always on your list of resolutions? This is the perfect plan and phone for Snapchat savvy teens, Facebook loving grandparents or busy moms and it won’t break the bank! Get a FREE Samsung Galaxy when you switch to Boost Mobile and get the $50 Single Line plan with Unlimited Gigs. The Samsung Galaxy J3 is super easy to use, has a long battery life (22 hours of talk time! ), an amazing front and rear-facing camera and 5 inch HD display. It’s also compatible for roaming in Mexico. The plan includes unlimited talk, text and optimized streaming videos, gaming and music. Visit Boostmobile.com for more information, or https://espanol.boostmobile.com/shop/plans/ for Spanish language, and to find an authorized Boost retailer near them to get in on these incredible savings. I say all that to say… I am feeling generous!!! 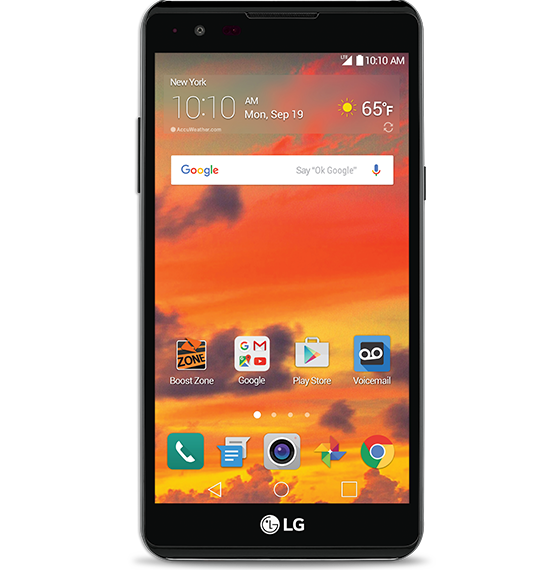 To bring in 2017 the right way, I am giving away a brand new LG X Power Smart Phone powered by Boost Mobile equipped with Android™ 6.0 Marshmallow and a high performance 1.8GHz Octa-Core Processor, the LG X power™ is one of LG’s mightiest phones yet. 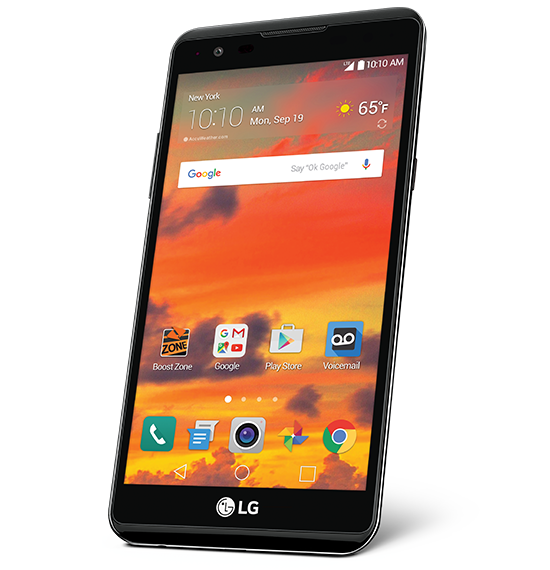 With an ultra slim curved design and brilliant 5.3” HD Display, the LG X power™ adds style to power. Selfie enthusiasts snap your next Instagram masterpiece with the 5MP front facing camera and an 8MP rear-facing camera for more photo-ops. Plus, a 4,100 mAh Li-lon battery means hours of talk time, video chatting, music and more! The high performance Octa-Core processor means powerful multitasking and jaw-dropping graphics at lightning fast speeds. Catch even the smallest details in high-definition on the durable, large 5.3-inch touchscreen display. Capture everything in vivid detail with the 8MP rear-facing camera. Plus, the 5MP front-facing camera is perfect for video chats and selfies. Browse the web, stream videos, and play your favorite games now faster than ever on Sprint’s nationwide 3G/4G LTE network. Speed up with Cat 6 LTE, where available. Check coverage. Lots of onboard memory means you can personalize with all your favorite apps. Enjoy up to 33 hours of talk time! Plus, watch more videos and listen to more music with the long-lasting 4,100mAh battery. Use your Boost Mobile phone to stay connected while traveling to Mexico. Make calls, send texts and use date while you’re abroad. Mexico roaming service plan required. New Year, New Phone Giveaway! Yay so happy to have won. Thank you Sofrito For Your Soul and Boost Mobile.